Sometimes the simple addition of a pop of color is the answer to how to begin a kitchen or bath remodel. Look around the room you want to upgrade. What’s missing? Color? Movement? Texture? Homeowners and designers alike agree that kitchen inspiration often begins with something as beautiful as a section of vintage tiles which add a touch of class to the room and become the centerpiece for an updated room. 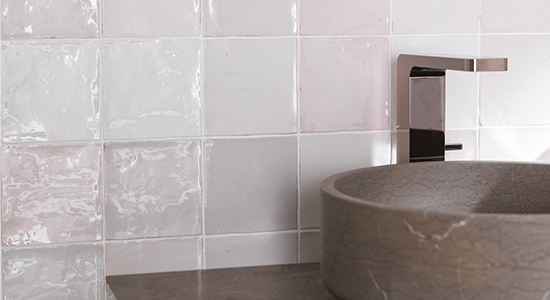 The Porcelanosa Nazari and Sevilla collections may be just what you’re looking for—the lustrous sheen of Nazari tiles lends warmth, personality and comfort to every kitchen. Nazari ceramic tiles offer irregular textures that stand out for having asymmetrical surfaces. While a combination of matte and glossy surfaces are available in the Nazari Collection, choosing a glossy surface has the ability to produce reflections which adds movement to a room. 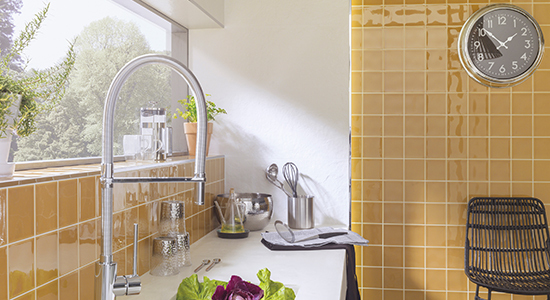 A splash of lovely warm gold will be achieved when using Sevilla Mostaza tiles as a wall covering or backsplash. Designers have added Sevilla Mostaza tiles with their rich color to kitchens, bathrooms, entryways and even in shower areas. 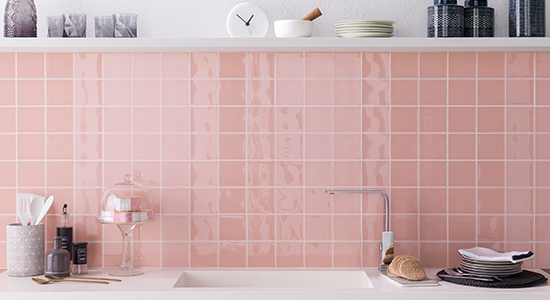 Sevilla Rose adds a vintage look with its glowing pink hues and is the ideal vintage backsplash to use for blending into a contemporary look. We can thank First Lady Mamie Eisenhower for introducing America to the color pink as she used so much that the White House was referred to as the Pink Palace. Though pink tiles were the color of choice for entire bathrooms and kitchens in the 50s and 60s with over 90 “shades” of pink to choose from, today’s use of this faint color is generally used sparingly and as an accent color to other décor choices. If you’d rather tone down the color and ramp up the sheen, then consider Nazari Ifrane with its shimmery pale silver and grey hues. Porcelain tiles withstand stain and water damage and are easy to clean and maintain due to the dense and non-porous finish. The beautiful silky finish will bounce light around the room and add a warm dimensionality to the room. Choosing a tile from the Nazari collection will yield a more traditional or rustic look within the home. 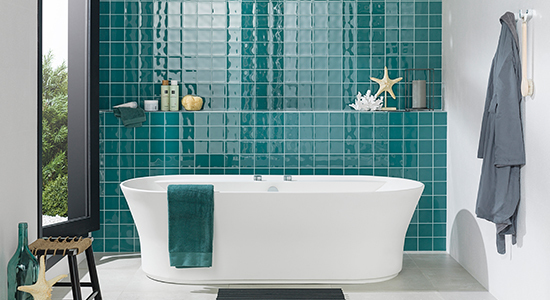 Surround yourself with the color of the sea with the gorgeous emerald green Sevilla Aqua tiles. Whether used as a backsplash or for an entire wall in a kitchen, bath or family room, Sevilla Aqua tiles uplift a room’s décor immediately with their rich, jewel-tones and 3D effects. The versatile and durable Nazari Collection, with its vintage tiles, is designed to add personality and warmth to every room with its unique handcrafted tiles inspired by traditional North African traditional ceramics with a Mediterranean flair.